Video profiling is the new thing in the town! Wonderloop brings in a cool way of introducing yourself to others, by uploading your video profiles. Now forget static images, the future is video. With Wonderloop, you get 10 to 20 seconds to explain who you are, what you do, and what you dreams are. It connects people to help each other reach their dreams or goals. The searchable hashtags makes it easy to find people thru common interest. You can search for people nearby or search with names, cities, countries and interests. While we are introduced to people over mails, the idea is still vague about the person. 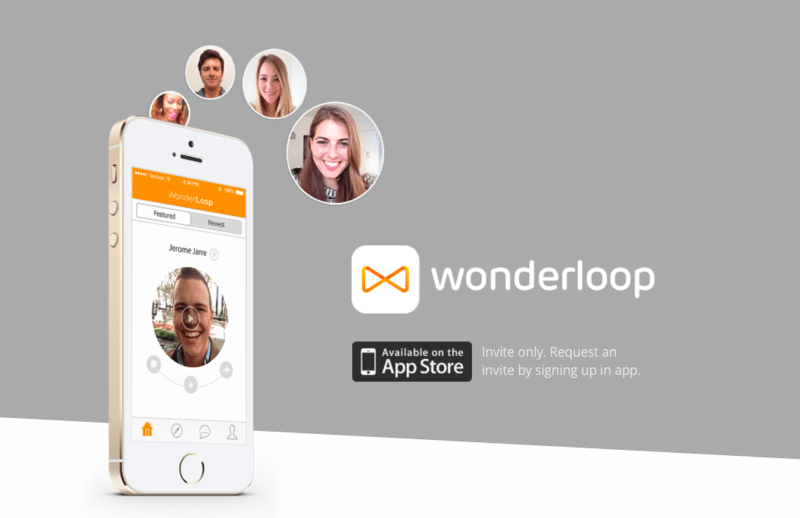 Wonderloop lets you see the persona and judge within seconds. The messaging interface is very cool, it enables people to chat and know each other better. Wonderloop is the brainchild of Hanna Aase. The entrepreneur has a concrete faith that video profiles in Wonderloop can potentially change the ways of meeting, hiring and investment. Having an idea for how to meet strangers in an easier and safer way, she worked with social media in Norway for about ten years. Currently Hanna is recognized as the best social media expert in Norway. “I was hired through my video profile on Wonderloop by saying I wanted to work for a company that wants to change the world, and that´s is exactly what our founder, Hanna, wants to do with Wonderloop” expressed Julie Berg, the community manager. It is building a video identity platform of people having vision to see every person in the world with a click of a button. Wonderloop conveniently enables the users to upload short introductory video on them and search for other people with similar interests. The video profile concept reinstates static images and biodatas on conventional social networking sites. It provides the viewers with natural impact on the people’s icebreaker. The goal is to become the ultimate search for people on videos. LinkedIn stands as major competitors for Wonderloop. It is more of professional than social. So rather than tinder if LinkedIn starts doing video profiles, that would be a close competition. Wonderloop is prevailing to be as big as Instagram, WhatsApp and Snapchat. The founder is planning to expand the team of Wonderloop. It will also launch its others product by next month. The fiscals for social networks come from the user data. The more users, the more value in the data and the more value will be added to the company. Apart from this, Wonderloop also charge for downloading the app and creating premium accounts for those who wants to be more visible. It is also looking forward to sign contracts with recruiting companies as Adecco, who will pay for extra features on search to find employees etc. Readers, download the app for an invite while you can! Next articleOn Kicktraveler, the Crowd funds and follows Each Other’s Itinerary!